Whether we like their advice or not, more young adults are choosing to pursue higher education. This means that most likely there are an increasing number of young adults who are and have experienced similar physical and mental health outcomes from education that I have. What occurs post college is barely a thought as we plunge into college life and attempt to manage our social engagements with the very heavy curriculum and workload that we all know and hate. Although undergraduate education is a whirlwind of all of the above-mentioned attributes adults equate to unequivocal achievement, we suddenly have graduated and are ready to make money instead of spending it. 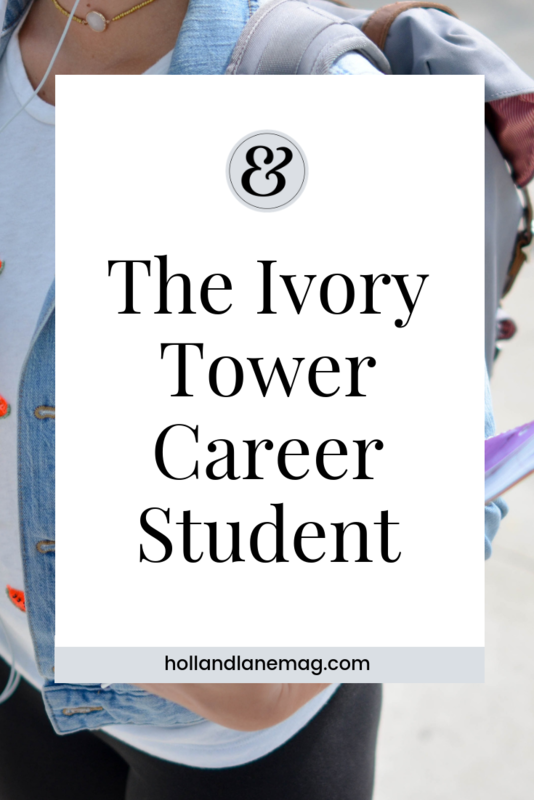 But what if you’re not done with the ivory tower just yet? When graduate school has fallen on your lap one way or another, you think, “Hey what’s a few more years of school, it can only help my future right?”. Just about two months before college applications were due, I had decided to apply to master’s programs. Still, I had decided that research was necessary to complete if I was to call myself an anthropologist. Fast forward a year and I am on my way to Saskatchewan, a prairie city in beautiful Canada. I am about to start my first year of graduate school in another country and move into a house with four women whom I have never met. I had left my boyfriend, my very close family unit, friends, and church community, but one ‘being’ I loved too dearly to say goodbye to was my two-year-old cat, Oaken. As we drove from province to province on our trip from New York to Saskatchewan, I had no clue what was in store for the both of us. The first few months were relatively normal while we became accustomed to our new habits. Yet, even while my life was shifting as I pursued a Master’s in another country, the imagined adventure and accomplishment left my hopes high and my inevitable anxiety hidden from plain view. As the year was winding down, I found myself overwhelmed with coursework, as per usual. Being overwhelmed is second nature to a college student and I was typically used to managing my anxiety. That was until the first of what seemed to be a ripple effect in additive pressures that began in the fall of 2016. Oaken was my first love. Yes, I know full well how ridiculous I sound, but even those who witnessed the two of us together knew what we had was special. Having Oaken by my side during the move made the ‘what ifs’ seem like pebbles to what could have been mountains of anxiety attacks. What I soon found was that he had anxiety of his own that led to an infection that quickly became a reality wherein he was no longer with me. I held him while he was put down and that was the first time I truly felt utterly alone in my academic journey. Soon after Oaken passed away, I had final papers due, but my energy was at an all-time low. I plugged through my work anticipating a break from school during the holidays to spend time with family. My plans were derailed after learning that my research location would no longer be the same. This meant that I needed to study new material and scrap all other material that I was reading for the past four months in order to prepare for my field research. It is safe to say that my relaxing winter break turned into an extended fall term. Moving into the second term I chose to keep my stress as hidden and ‘manageable’ as I could. I spent 95 percent of my time on school work while the other five percent were spent eating, sleeping, and at social events. As one might imagine, the work load that I put on myself had side effects that included chronic back pain, over-mounting stress that led to poor sleep, and not enough time for personal hygiene or keeping in touch with family and friends back home. Although I have spent the last year painstakingly altering my time management and mental health with natural remedies, I still struggle with anxiety. Even today as I write this article, in the back of my mind I am thinking of the list of work I have to do to complete my thesis. I am now on my eighth year in academia and it is difficult to see the light at the end. Each day I repeat the same question in my head, “was it worth it?”. My story may be unique in that it is my own experience and my own anxieties, but similar stories are littered throughout the world of academia. I consider myself lucky as I am able to subdue my stresses by natural means. For some, the natural remedies only scratch the surface, or they merely have not yet identified their anxiety. We are all trying to figure it out as best we can with the little knowledge we have about anxiety. That is why I believe that although anxiety is typically seen as a setback, in college we have the ability to experience, identify, and learn to manage our mental and physical health. Truly the best practice is to speak it out to either yourself or close friends and family. By doing this we may find that some stresses can be let go, stresses that we thought were our biggest setbacks. By minimizing those we can hone in on the main stress points that keep us from feeling lighter, in charge, and at peace. We are living in an overstimulated and desensitized society that promotes hard work and discourages personal enjoyment. The only way to conquer societal norms is to break them by sharing our stories and our truths with others. •	Practicing yoga or a combination of meditation and exercise. This mainly helped with stress and back pain. •	I wholeheartedly believe that a vacation can do wonders to both your body and mind. I have gone on a four-day getaway to Vancouver on a very low budget, still allocated three hours a day to my thesis, and had an amazing time all because I provided my senses a change of pace. •	Speaking your truths, concerns, even drama out loud to yourself or to a friend. •	It is important to absorb any advice or guidance that valued friends give you. This does not mean that you must act on what they say but they know you best. •	Build a perfect morning routine that keeps your mind and soul at ease. Mine includes coffee, meditation, prayer, dream journaling, and emails. Abigael is an environmental anthropologist and artist, merging her two passions in life as a form of artivism, simply meaning to combine art and activism. Her work focuses on environmental and Indigenous rights and in most cases these two coexist. The medium she works in is ink, watercolour, clay, and writing.